When picking a self-balancing electric scooter, you first have to check the technical specifications. Each brand is different and provides unique features that you may or may not need. Two models that look identical can be vastly different when you begin to examine them. Apart from that, there are some key details you’ll have to take into account if you want to sort out the difference between a useless product and a hoverboard that can get you to the stars. Unsure about what the specs for your self-balancing scooter might mean? 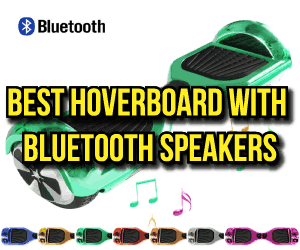 See a general explanation of them here on my hoverboard reviews page. Essential for making the scooter scoot, the power of the motor is probably the most important factor to consider. Speed may not differ too much here (although it can range from 5mph to 10 mph), but, generally, motors weaker than 300 watts are not recommended for heavier folks. You can expect that a motor with more wattage will propel a self–balancing scooter better than a lower wattage version. I’ve seen several hoverboard brands mention that they are water-proof. While the motors may have tight seals to prevent water damage, this doesn’t mean you can ride through water more than 1-2” deep. Current 6.5” models only have 1.2” clearance between the chassis and the ground. By driving through a deep puddle, you will submerge the bottom of the scooter. Submersion could allow water to leak into the motor and wheels—or even short-circuit your battery. Most electric self-balancing scooters come with a sealed battery and charger. Inside the battery package is 12-18 smaller battery cells. Each of the batteries provides from 12-18 volts. (It all depends on the brand/model) Depending on the quality of the charger, will determine how long it takes to recharge your scooter. The trick here is to keep in mind that the best batteries will take only about 2 hours to recharge (when fully drained), and that, before they “die of old age”, you should be able to recharge them at least 400 times. The CPSC recommends as a safety precaution that you only charge your battery for 2-3 hours before removing it from the charger. When you drive a car, the transmission transfers the energy from the motor to the wheels, making it possible for you to move. With a self-balancing scooter, the wheels are directly connected to the motors (a direct drive system). That direct connection is part of what gives the hoverboard such a quick response when the engines are engaged. You’re not losing energy like a car’s transmission does. A more traditional scooter or motorcycle use a belt or chain to transfer the motor’s energy into motion. 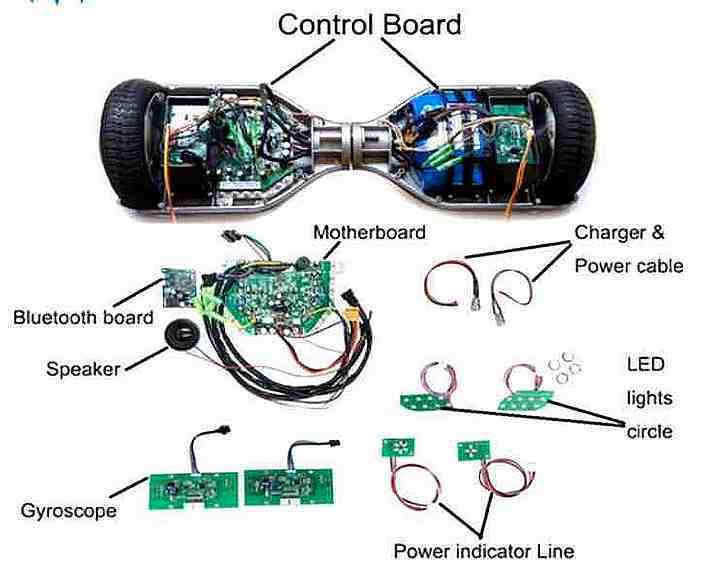 What your hoverboard does have, is a pair of accelerometers inside connected to the motor. These sensors are extremely accurate and can convert the rider’s slightest shifts of weight and balance into signals that tell the motors to drive forwards or backward. By making the engine on each side of the scooter independent, you can perform extremely tight turns and spins. Other important aspects of an electric scooter’s manufacturing specifications are the tires, chassis, deck, and features. Make sure to look for brands and manufacturers that pay attention to these features, as a sturdy construction will help you stay safe on the road, while also keeping your scooter up and running for years. Tires can be either solid rubber or pneumatic. Pneumatic tires are in the 8” or larger models. Theoretically, they offer a smoother ride since the pneumatic tire can absorb some of the bumps you experience while riding where the solid rubber tires don’t absorb as much. Con artists and scammers are in every industry, and they’re usually not that hard to spot. You’ve probably seen lots of them trying to sell “sensational” deals when in fact they’re just out fishing for fat wallets. These scammers selling inferior and unsafe hoverboards are the reason that many places halted the sale of them. Hundreds of reputable vendors sell hoverboards. These dealers not only provide you with a self-balancing scooter that runs but also give you advice regarding maintenance, extending battery life and much more. When you visit a website belonging to a specialty electric scooter dealer, they should be able to give you exact details about all the technical features of even some of the most complex models. A genuinely good salesperson should also help you to find useful additional accessories batteries or parts. Here's a link to my article on what I consider being the essential hoverboard accessories. However good a specialty store/website might be, I would recommend you go with somewhere like Best Buy or even better Amazon or a smaller site. DO spend a little bit more to buy a quality self-balancing scooter. I know I work hard for my money, and I’m sure that you do too. DO consider the age of your child if you are thinking about buying a hoverboard for kids. The recommended age is 14+. DON’T buy a self-balancing scooter from some random guy at a gas station. Any savings upfront might be spent maintaining it in the long run. DO get an extended warranty. Unlike other protection plans so far it seems that hoverboard warranties are useful. DON’T skip the extended warranty. Yes, I just said the same thing, but if there’s an extra warranty available, you should get it. Hoverboards are just too new, and nobody quite knows what the expected life of one is. By purchasing an after-market warranty, you can protect your investment in case the vendor disappears. I can name at least ten that is no longer answering customer emails and phone calls. DO consider Amazon as a place to buy your self-balancing scooter. You can often get free shipping, some states don’t pay sales tax, and there are buyer protections that the site offers to anyone who buys from them. Also, if you get a hoverboard from Amazon, you can add a SquareTrade protection plan. It provides an extra two years of warranty for your self-balancing scooter. The number of electric self-balancing scooter brands has changed exponentially in the past six months. In the 18 months that they have been available for sale, the prices have ranged from $2000 to as little as $197. The average price for a quality model is around $500. Segway has announced that they will be selling their version of a hoverboard (the MiniPro) for $1000. I don’t know if that’s worth the price yet. I will know more when they start shipping the first units to customers on the 28th of June. In short, it’s hard to say what’s a good price to pay for a self-balancing scooter. The different qualities of brands and the number of sellers keep me from saying that this or that is a good deal. If you ever want my opinion on one that you are considering purchasing, use the contact form at the bottom of the page. I love hearing from readers, and will help you as best I can. The best piece of advice, therefore, is not to be rash. First, look for a brand and a model that might suit your needs perfectly, and then, far from being over, the real adventure will begin. Next, you want to get the best bargain; you will have to search for that particular model, and compare prices from as many different places as possible. Once you find the best price, go for it – you’ll get a great scooter, and you’ll still afford to pay the power bill to recharge it. Buying a self-balancing electric scooter may seem like a difficult task at first, but nothing is too hard once you’ve got some insight on the matter and you know what to do. Research, a little patience, along with a little sense of adventure, and you will have your new hoverboard/electric scooter ready to take on the rush hour madness in no time at all. Amazon and other big box retailers will be able to provide you with some of the best bargains, allowing you to order your very own electric scooter without even breaking a sweat. Now that Amazon has relisted them I think we’ll start to see them on the shelves of other retailers very soon. So stop poking around local shops, and keep your wallet full and your spirits high by getting the newest, most reliable electric scooter on the internet. It will probably be a lot cheaper than in regular stores. 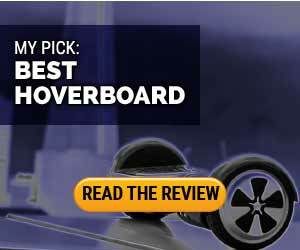 Check of the hoverboard buyer's guide for more help with buying a hoverboard. I deliberately chose not to link to any sales, deals, or products on this page. My hope is that by not having those links this page will continue to be helpful for a long time. Having said that, I do earn a small commission on any purchases made by people who click on some of the external links on the site. This pays for hosting and other needs of the site. If you came here looking for purchase suggestions, please visit my hoverboard comparison page. As always, please feel free to contact me via the form below if you have any scooter questions. Help! What is the Weight Limit For a Hoverboard?